Most everything in the town of Madurai revolves around the famous Meenakshi Amman temple. Most tourists are in the town to visit the world-famous Meenakshi Amman temple. There is an entire ecosystem built around the temple – there are shops selling everything from eatables and fruits and vegetables and vessels and flowers to clothes and wigs and cosmetics and jewellery here, for this very reason. Directions to tourists here are often given in terms of the temple – a place is almost always located straight ahead from, right or left from, or just around the Meenakshi Amman temple. The temple is the heart of the town, it’s heartbeat, rather. 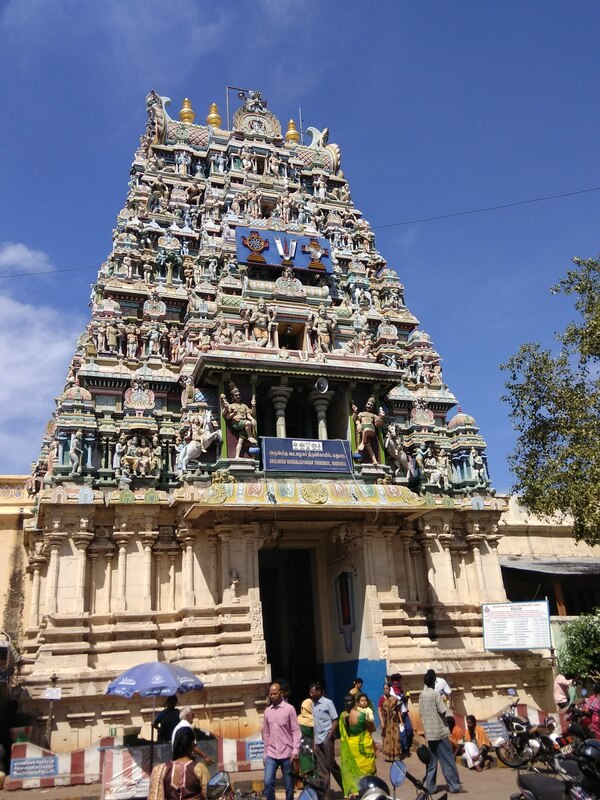 Walk around the roads and bylanes of Madurai, like we did on our holiday, and you will, more often than not, end up at the Meenakshi Amman temple. The temple surroundings buzz with activity, frenetic with the comings and goings of locals and tourists alike. The place wears the look of a fair ground, especially so on the days of Indian festivals. Today, I present to you some sights we captured from around the famed Meenakshi Amman temple, on our camera. A short walk away from the temple is a little market, where you can spot the freshest of vegetables, among other things. We found these beautiful, beautiful little bittergourds there. Panneer drakshe, Indian Gulabi or rose-flavoured grapes, for sale outside the Meenakshi Amman temple. Simply gorgeous, these are! A row of tailors operating in the Pudhu Mantapam, adjacent to the Meenakshi Amman temple. These tailors stitch garments that adorn deities in temples as well as dance costumes, I believe. There are several Muslim-owned shops around the temple that sell a variety of pooja paraphernalia. Some of these stores offer excellent freshly ground sandal. Colourful, colourful bangles on offer at the shops in Pudhu Mantapam, near the temple. You get an excellent selection of colours, shapes, types and materials of bangles here! Cast iron and iron utensils on sale at a shop inside Pudhu Mantapam. I treasure the mini idli maker and the dosa pan that I picked up here! This kind of shops are everywhere around the temple – they sell a variety of knick-knacks, most of them priced at just INR 10! I hope you enjoyed this virtual journey with me! Do let me know, in your comments! PS: The Madurai Meenakshi Amman temple was in the news earlier this month because of a fire that caught hold of some of the shops around it. A short circuit in one of the shops is believed to have caused the fire, which gutted over 50 shops. Read details here. The minute we entered our hotel in Madurai, we were assailed by the heady scent of jasmine. This was no ordinary scent, mind you, but a haunting, beautiful perfume that I haven’t come across with jasmine flowers anywhere. I looked around and, soon enough, found the source of the scent – a strand of jasmine flowers laid before the idol of Ganesha in the reception area. The famous Madurai malli! That moment, more than anything else, drove home the fact that we had, well and truly, arrived in Madurai. For the uninitiated, the temple town of Madurai is well known for the special variety of jasmine flowers that it produces – popularly called Madurai malli or Madurai mallige. These flowers, grown abundantly in Madurai and surrounding areas, have thicker petals and longer stems, making it easier for flower vendors to string them. Also, these flowers retain their fragrance and freshness for up to two days, making them a huge hit with tourists and locals alike. Apparently, it is the topography and climate of Madurai that lends the malli its special qualities and fragrance. So feted are these flowers, in fact, that they have received their own Geographical Indication (GI) tag! They have found mention in ancient Tamil scriptures as well. In Madurai, you will come across these flowers for sale everywhere – on pavements, outside big showrooms, in marketplaces and, of course, outside the famous Meenakshi Amman temple. They are commonly sold by quantity here, though – a string of 100 flowers will cost you a certain amount (I forget exactly how much) – as opposed to sale by length (mozham) that I have seen in case of jasmine everywhere else. How could we resist buying the mallige while in Madurai? I wore strings of them in my hair every day, and basked in the glorious fragrance of them. I hope you have been reading and enjoying my posts about our recent trip to Madurai. If you haven’t, here are the links for you! While I was researching for our recent trip to Madurai, the name Gopu Iyengar’s popped up often. I read about this all-vegetarian little eatery being touted as one of the best places in Madurai for South Indian snacks, particularly the variety of dosas that they serve and their vellai appam. Of course, we had to include a visit to Gopu Iyengar’s while we were in Madurai! Long, long ago, a certain Gopala Iyengar was working as a waiter in one of the old restaurants in Madurai. He was a good, hard-working and earnest person, much liked by everyone. When the owner decided to sell the restaurant, he found a willing buyer in Gopala. In the year 1930, Gopala launched his own restaurant by the name of Gopu Iyengar’s, on West Chitirai Street, near the famed Meenakshi Amman temple. On the menu were traditional South Indian tiffin items like dosas, idlis, vadas, thavalai adai, pongal and halwa. The eatery became hugely popular, with dignitaries like Supreme Court Judge AR Lakshmanan and former Chief Minister of Tamil Nadu K Kamaraj making it a regular haunt. Priests from the Meenakshi Amman temple began eating here too. The fame of the hotel spread far and wide, and locals began referring to the place as ‘Moolai Kadai‘ (‘corner shop’ in Tamil, thanks to its location at a corner of the street). Over time, Gopu Iyengar’s launched a second outlet on the bustling Bypass Road in Madurai, too. They also began selling some of their signature snacks and pickles online. I was also surprised to see this ancient, traditional hotel having an active and well-maintained Facebook page! The branches, presently owned by Gopala’s son RG Srinivasan, remain open from 6.30 AM to 10.30 AM in the mornings and from 3 PM to about 7.30 PM in the evenings. It is believed that the menu and style of preparation of dishes here still the way Gopala Iyengar planned them out. While in Madurai, we decided to visit the old, first outlet of Gopu Iyengar’s, rather than the new one on Bypass Road. The old outlet of the eatery was not difficult to find at all. It is, indeed, a small, hole-in-the-wall place that we might have missed if we weren’t really looking for it, but I am sure the throng of people getting in and out of it would have drawn us to it eventually. A blackboard by the door told us about the day’s specials, all in Tamil. Both times we visited, the few tables and chairs inside were full of people who seemed to be relishing their tiffin on plantain leaves, slowly sipping on their filter coffee. Both times, we got a table after a short wait, and were soon relishing our own tiffin and coffee too. I don’t know how this works – it felt like we weren’t rushed at all, we were given time to leisurely enjoy our food, with the people waiting outside being managed efficiently as well. Inside, the eatery retains its old-world charm – the interior still probably looks very much the same as it did when the place was started in 1930. Peeling paint on the walls, framed pictures of Indian gods, an old-fashioned cashier’s desk by the door, barebones tables and chairs, the lack of fancy cutlery, waiters in T-shirts and veshtis, a little washbasin to clean your hands, a bin where you drop the plantain leaves after you eat, all add to the quaint atmosphere of the place. Like I said before, Gopu Iyengar’s is an all-vegetarian outlet that mostly serves traditional South Indian tiffin items, and is particularly famous for its vellai appam and dosas. Every day, there are different specials, announced on the blackboard, while the signature dishes as well as the most-ordered ones are served every single day. The eatery prides itself on serving fresh, homely food, made without the use of any artificial colours, flavouring agents or preservatives. Over the course of our two visits to Gopu Iyengar’s, we tried out quite a few items, most of which we absolutely loved. I’m so glad to see that this eatery hasn’t taken its reputation for granted and, even after over 80 years of existence, is serving finger-licking delicious fare to its patrons. Here is a round-up of all the food we sampled at this eatery. Vellai Appam: At Gopu Iyengar’s, you are brought a plate of vellai appams first, even before you have decided what you are going to have. That is de rigeur. You could refuse them if you want, but why would you do that? These vellai (white) beauties are things of joy, after all. These appams, a recipe from neighbouring Chettinad, are nothing but deep-fried balls of lentil batter. We found them quite delectable, albeit a tad oily. The two types of chutney we were served alongside these appams made for perfect accompaniments to them. Filter Coffee: Filter coffee was good, wherever we sampled it in Madurai. Gopu Iyengar’s was no exception. Plain Dosa: The dosa here was very well done, just the way I like it – neither overly soggy nor overly crispy. It was quite homely and delish, a far cry from the thick and greasy dosas that you get in most hotels these days. Podi Dosa: Again, this dosa was made beautifully, just the right texture, sprinkled with a liberal dose of karuveppalai (curry leaves) podi (powder). The dosa tasted lovely, but we didn’t particularly like the taste of the podi within. Idlis: The idlis we sampled here were lovely, pillowy soft and delicious. They were quite homely too, as against the grainy idlis that you get in most restaurants now. Ulundhu Vadai: The ulundhu vadais – deep-fried rounds of urad daal batter – were absolutely delectable. They were perfectly fried, neither overly crispy nor underdone. The coconut chips and curry leaves in the batter took the taste to a whole new level. Godhumai Dosa: The godhumai (wheat) dosa here was another delicious affair. It was, again, homely and made just right. Bun Halwa: On one of the days we visited Gopu Iyengar’s, we were lucky to find bun halwa in the list of specialties. The halwa, made with bakery buns, came to our table in a little plastic cup. It was absolutely delish, loaded with ghee and dry fruits. It is a distant cousin of the Hyderabadi shahi tukda, if you may. We found the service to be quite fast. The waiters were courteous, friendly, and attentive. The prices are highly reasonable, considering the quality of the food here. We don’t remember the exact amounts of the bills we paid, both times we visited, but we do remember that they were quite, quite reasonable. Though the place is small and cramped, it is neat and well-managed. Don’t miss this place whenever you are in Madurai. Do gorge on the lovely traditional fare here! I’m not sure if the quality and taste of the food at the (relatively) new Bypass Road outlet matches up to this one. The West Chitirai Street branch is the one we visited and loved, and the outlet that I can’t recommend highly enough. I hope you have been reading and enjoying my earlier posts about our Madurai trip! If you haven’t, here are the links for you. I love bakery buns, especially those from Iyengar’s Bakery. Not the buns with tutti-frooti or dry fruits and nuts in them, you know, but the plain and simple sweet ones. I fancy myself a bun sandwich as a treat, now and then. I think these round and fluffy and cute buns are just the right size for me to experiment with different types of fillings. I like the mildly sweet flavour of these buns, too. Yes, yes, I know there’s always bread to make sandwiches with, but buns are great too! Bun sandwiches are, I think, a nice way of jazzing up buns. They are perfect for breakfast or for a quick snack any time of the day, when you don’t mind eating a tad unhealthy and are feeling too lazy to really cook. And, like I was saying earlier, the number of things you can do with these buns is mind-boggling! Here are four very simple ways to make bun sandwiches, each one more delectable than the other. Try them out, will you? Butter bun is a simple, but lovely sweet treat commonly found in street-side push carts in Madurai. We tried this out on our recent trip to Madurai, and fell in love with it. Cut the sweet bun into half, horizontally from the centre. Heat a thick dosa pan till water droplets dance on it. Spread a little unsalted butter on the top and bottom of the bun. Turn the heat down to low, and toast the bun on both sides. Toast it as little or as much as you want, ensuring that it doesn’t get burnt. Sprinkle some more sugar on top of the bun. Traditionally, butter bun is made by spreading butter in the centre of the bun, after which it is toasted on a dosa tava. I, however, feel that the butter melts a bit too much if the bun is made this way. I prefer, instead, to first toast the bun and then spread butter inside it. The saltiness and beautiful texture of molten cheese merges with sweet-sour jam in this bun sandwich, to create a flavour bomb. This is the husband’s personal favourite. Cut the bun into two halves, horizontally from the centre. Spread strawberry jam on the inside of both halves of the bun. Use as much or as little jam as you want. Place the cheese slice on the bottom half of the bun, over the jam. Place the other half of the bun on top. Spread a little unsalted butter on both sides of the bun sandwich, and toast on a hot dosa tava. You could use any kind of jam to make this sandwich. A sweet-sour jam like strawberry would go best, though. I felt the Kacchi Keri cheese went beautifully with the sweet and sour flavours of the jam. However, if you don’t have this particular flavour, you could use a plain cheese slice or grated processed cheese instead. Of all the bun sandwiches I have made till date, this one remains my favourite. I absolutely love the spicy-salty-tangy flavours of this sandwich. Cut the bun into half, horizontally from the centre. Spread spicy green chutney on one half of the bun. Spread salted butter on the other half of the bun. Place the cheese slice on the bottom half of the bun, and close it with the other half. Toast the bun sandwich on a hot dosa tava, using a little more salted butter. Serve hot. The Kacchi Keri flavour of the cheese goes beautifully with the other ingredients in this sandwich. If you don’t have it, though, you could use a plain cheese slice or grated processed cheese instead. This is another beautiful variation of a bun sandwich – one that combines sweet and spicy flavours. Cut the bun into two, horizontally from the centre. Spread some jalapeno jam on the inside of one half of the bun. Spread some cheese spread on the inside of the other half of the bun. Close the bun sandwich. Eat! Any jam with hints of spiciness and sweetness in it would go well here. Toast it lightly if you want – we had this as is, without toasting. You like? I hope you will try these bun sandwiches out too, and that you will love them just as much as we did! If you happen to be in Tamilnadu this time of the year – when it’s hot, but not yet the peak of summer – there’s a high likelihood that you will come across carts of almost translucent-looking, plump, purple grapes, on the streets. The vendor will catch you ogling at them, and invite you over for a taste. You will choose a fat one that will hold the promise of juiciness, and pop it into your mouth. One bite, and the sun-warmed grape will fill your mouth with flavour – a delicious sweetness, with the hint of roses in it. You’ll encounter some seeds, too, which you can chomp down or spit out as you please. I’m talking about none other than ‘Panneer Drakshe‘ (‘panneer‘ and not ‘paneer‘, mind you! ), a special variety of grapes that is grown in Tamilnadu. ‘Panneer’ means ‘rose water’ in Tamil, hence the name. Also called ‘Indian Gulabi’, I’m not sure if this variety of grapes is as popular – or has even been heard of – outside the state of Tamilnadu. On our recent trips to Tamilnadu, first to Madurai and then Kumbakonam, we had our fill of these gorgeous grapes. You should too, if you encounter them. Most tourists in Madurai are here to visit the famed Meenakshi Amman temple. At the most, these passersby try out the jigarthanda here (because you absolutely cannot miss the shops selling it! They are smack in your face!). The city, though, has many well-kept secrets, foodie and otherwise. One relatively unexplored aspect of Madurai’s food scene is its halwa kadais or shops selling halwa. Not many know that Madurai is home to a number of halwa shops, most of them existing for almost a century now, most with a loyal following of customers. Which of these shops will serve you the best halwa, though? Asking locals (who have been around in Madurai for a while) will get you one or more of these names – Nagapattinam Halwa Shop, Prema Vilas, New Nagalakshmi Bhawan Halwa Shop, and Happy Man Iyengar Halwa Shop. On our recent trip to Madurai, we explored the city at considerable length, as many of its nooks and crannies and foods and drinks as we could manage. However, we were able to visit only the Nagapattinam Halwa Shop, out of the four touted-as-best stores in Madurai. Located on West Chitrai Street, near the Meenakshi Amman temple, Nagapattinam Halwa Shop is an unpretentious thing. It is so non-descript that you might write it off as nothing if you are passing by, and do not know about its history. This is the very shop that dignitaries like MS Subbulakshmi and MGR frequented, once upon a time. The shop was started by a K.S. Vishwanatha Iyer in the year 1901, when he came to Madurai from Kumbakonam. Iyer apparently had with him a traditional recipe for wheat halwa, which was a relatively unheard-of thing in Madurai of yore. So, the gentleman set up shop opposite the Meenakshi Amman temple, and his halwa went on to become hugely popular. The shop became very famous as ‘Ambi Iyer kadai‘ (Ambi Iyer’s shop) and ‘Nei mittai kadai’(ghee sweet shop). The outlet shifted to its present location, on West Chitrai Street, in 1942. Over time, apart from halwa, they also started making other sweets and savouries, but the halwa remains one of their best-selling items till date. Presently, the shop is owned by V.A. Venkataraman, the fourth-generation member of the same family. When we visit, at about 5.30 PM one evening, the shop is manned by an elderly gentleman who talks in Tamil from a bygone era, which we have a little trouble deciphering, even though the husband and I speak the language very fluently. We ask for some of the shop’s signature halwa, and are handed about 200 grams of it, packed neatly in a plastic wrapping. We are told the halwa is very fresh, but isn’t hot (if you want to have hot halwa, you need to visit as soon as the shop opens, at about 10 in the morning, I believe). Eager to get our first taste of the famous halwa, we open the packet then and there, and put a wee bit of it in our mouths. And then, magic happens. We are transfixed. We are unable to stop eating, till all the halwa is gone. We stand there, speechless, with silly grins plastered on our faces. This is, clearly, one of the best halwas the husband and I have ever had – absolutely beautiful silky-smooth texture, gorgeous taste, redolent of ghee, and very, very fresh. We head back to our hotel, armed with some more of the halwa to take back home as a souvenir, as well as some of the shop’s famous kara sev. For those of you who are interested, the halwa is priced at INR 320 per kg. Back at the hotel, we snack on the kara sev, which is just as beautiful, just the right amount of crunchy, salty and spicy. Halwa is not the only thing that this shop is famous for, though. We go back to the shop the next morning at about 10.30 AM, to see if we can get our hands on their famed ‘kizhangu pottalam‘ (which literally translates from Tamil into ‘root vegetable parcels’. 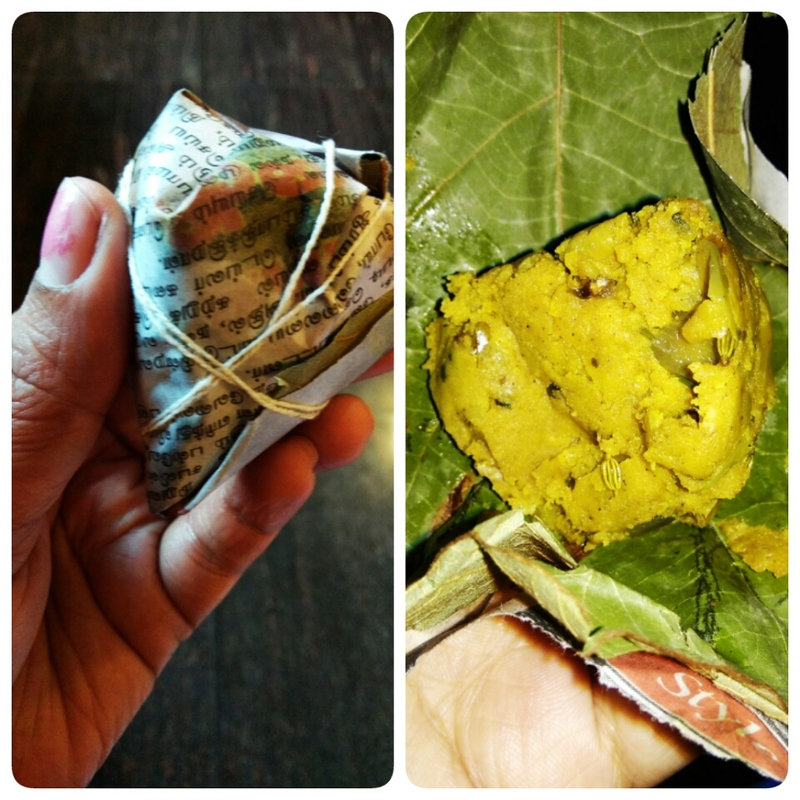 The kizhangu pottalam is nothing but a cone of spicy potato curry, parceled in a dried lotus leaf, available for sale at the shop every morning. Priced at INR 10 per cone, these pottalams sell like hot cakes, we hear. Apparently, Madurai, in years past, used to have a huge influx of people from the neighbouring villages, every day. These people would work here as construction workers. These villagers would start from their homes in the villages quite early in the mornings, armed with a box of day-old rice and some curd for their lunch. The Nagapattinam Halwa Shop started selling this spicy potato curry at nominal prices, as a sort of service to these construction workers, so that they would have something to eat their rice with. The curry became such a big hit with the Madurai denizens that the shop continues to sell it. Legend has it that the prices of the pottalams haven’t changed much over the years. We are lucky to get our hands on two of these pottalams, before they get entirely sold out. The potato curry in them tastes lovely, but is way too spicy for the husband and me. It is heavily laden with fennel (sombu), I think thanks to the influence of the neighbouring Chettinadu. I can see how this curry can become a hot favourite with people who are used to high spice levels in their food. And, then, the curry was originally meant to be an accompaniment to curd rice, not eaten as is. Don’t miss this place, whenever you are in Madurai. You’ll be missing out on some seriously beautiful halwa otherwise! We will certainly be making a pit-stop here, again, the next time we visit Madurai. The other famous halwa kadais are still on our radar, too. Have you read my other posts about Madurai? I hope you have! If you haven’t, do check them out. We have been in Madurai for five days, and have been frantically looking for the house that the great singer MS Subbulakshmi used to live in, once upon a time. 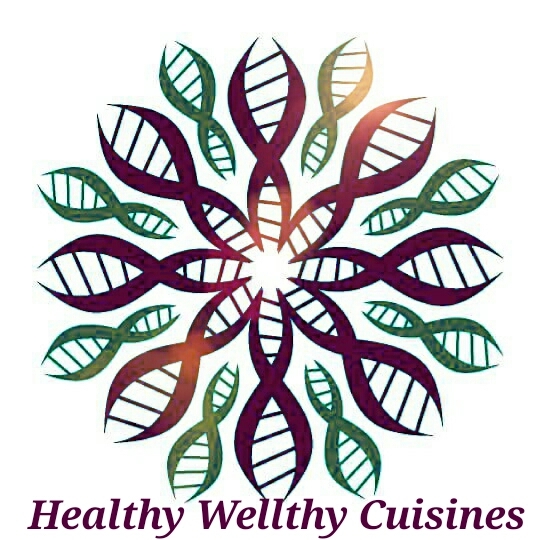 We have been interested in it ever since we read about it here, on Sudhagee’s blog. Like thousands of other South Indians, the husband and I have grown up listening to MS Subbulakshmi’s music, and would love to see the house she inhabited, at some point in her life. None of the passersby, auto rickshaw drivers or shopkeepers we ask seem to have any clue about the house – even when we give them the name of the street it is on, they are unable to guide us. And then, on the last day of our trip, with just a few hours to go before we leave the city, the husband and I decide to take one last walk around the Meenakshi Amman temple, something we have done for every single day of our trip. We pick up a few souvenirs for family and friends and are about to head back to our hotel when the husband, as if through some miracle, spots a signboard that says ‘Mela Anumantharayan Kovil Street’ – the very street that, we know, houses MS Subbulakshmi’s house. It is the very street that we have been trying to locate ever since we landed in Madurai, which we never spotted in spite of having walked around the area for five whole days! We walk down the street – a narrow, narrow, narrow one, with shops and houses hemming it in from both sides. We spot the house we were looking for towards the far end of the street – a small house with one window open, with the relief of a veena on the facade. The husband and I remember seeing the veena in pictures of MS Subbulakshmi’s house on the Internet, and look at each other with a mix of awe and sadness on our faces. The house is not one bit what we had expected it to be. It looks old and small, but in good condition. What surprises us is that nothing about the street or the house belies the fact that one of the biggest names in Indian music, a Bharat Ratna awardee for that matter, lived there at any point of time. There’s no tell-tale signboard, no street bearing her name, nothing. Only the veena on the facade of the house gives any indication whatsoever of the inhabitants of the house, past or present, having an inclination towards music. There are shops below the house, too. We ask these shop owners and they confirm that, yes, the great MS used to live here. They seem to have no clue about whether the house is lived in now, though. In a country where memorials are built, statues erected and roads and chowks named after the most dubious of personalities, it is incomprehensible that there is not even a sign/plaque to indicate the house of a Bharat Ratna. The city administration, state government and the central government are all equally to blame for this apathy. I find it ironic that a country that claims cultural and moral superiority over the rest of the world cannot even do this for one of the greatest musicians ever to be born here. And, in my opinion, a country that does not respect, recognise or nurture its creative people can never progress. A pity, isn’t it? Will something finally be done if enough tourists start coming to look at it? Or will that only make matters worse? I have no answers. Though I have grown up hearing MS Subbulakshmi’s music (my paternal grandfather was a big fan of her voice – he even used to say she reminded him of his own elder sister), I didn’t know much about her personal life until I read this article that Sudhagee had linked up to in her post. Why does life have to be so very tough for artists? Sigh! While in Madurai, jigarthanda is a lovely drink to have, yes. But then, jigarthanda is not the be-all and end-all of food and drink in Madurai, contrary to what many tourists believe. Old Madurai has some beautiful old-fashioned restaurants that serve a variety of traditional food stuff. The newer part of Madurai has newer restaurants, which serve loads of varieties of food and drink – everything from Chinese to North Indian to fusion food. The street food scene in the city is vibrant and lovely, too. On our holiday, we had the opportunity of exploring the streets of Madurai at leisure, trying out this and that. We were literally stunned by the kind of food and drink that is available on the streets! This post is about some of the vegetarian street food and drinks that we tried out on the Madurai streets. Madurai – like elsewhere in Tamilnadu – has panneer soda available in most nooks and corners. ‘Panneer‘ (not ‘paneer‘, mind you!) means ‘the essence of roses’. ‘Panneer soda’ is, thus, soda that smells of roses. I am not a big fan of soda, but I love the mild, beautiful thing that panneer soda is. While in Madurai, it is a good idea to chug down a chilled bottle of Vibro (A Kalimark product, which is commonly available everywhere in Madurai), to beat the heat! A bottle of panneer soda will cost you about INR 13. Bottles of Bovonto, the quintessential Tamilnadu grape-flavoured drink, are also quite easy to find in Madurai. They are also great, if you are in Madurai, and looking for a refreshing change from all the filter coffee you are sure to come across there. There are a lot of sweet dishes that you can find on the streets of Madurai – from polis (puranpolis, in North India) and kozhukattais (South Indian rice flour dumplings stuffed with a sweet, coconut filling) to laddoos and buddhhi ka baal (the white version of candy floss, if you may). We fell in love with the little coconut polis that the street vendors seemed to turning out oh-so-deftly, with fast, fast, fast movements of their fingers. Coconut polis by the street-side! Little rounds of deliciousness these are, for sure! You commonly get two small coconut polis for INR 10. Paruthi paal – a drink made from the milk extracted from cottonseed – is a typically Madurai thing, as far as I know. I don’t think this drink is available elsewhere. Doesn’t it sound exotic? But then, it is very commonly available in Madurai, in several street-side shops, and drunk by a whole lot of common people. The drink is stored in copper vessels, which are constantly being heated, and is served hot. It has herbs like chukku (dried ginger) and sitharatai (lesser galangal or kulanjan), and is supposed to possess several health benefits. Paruthi paal is believed to be a good antidote to cold and cough, for one. I admit I was initially skeptical about trying out paruthi paal – I thought it would have a bland, milky taste that I would probably not like much. I was, however, pleasantly surprised by just how lovely it turned out to be. It was thick and sweet and tasted much like a coconut-based payasam (kheer), with a hint of spices added to it. Don’t miss this drink whenever you are in Madurai, I tell you! Priced at INR 10 per cup, paruthi paal surely is a steal. It is tasty, healthy and filling, too. What more do you need? Where – Street-side shops around the Meenakshi Amman temple and elsewhere. I hear Sri Sastha, a little shop a short walk away from the Meenakshi temple, makes the best paruthi paal in Madurai. Panam kalkandu paal or milk sweetened with palm sugar crystals is a drink that is popular in certain parts of Tamilnadu, specially Madurai. In Madurai, you will spot quite a few carts selling this sweet milk, usually served warm. I hear pure cow’s milk is used, and the addition of palm sugar crystals makes it a very healthy drink. If made the right way, this milk is believed to cure several ailments. Both the husband and I absolutely loved the taste of this warm milk, priced at INR 15 per glass. It was just the perfect drink to wash down dinner with, something I would love to recreate in my own kitchen. Believe it or not, I had never tried ‘goli soda’ ever, before this trip to Madurai happened! Soda water in a glass bottle, with a marble (goli) in the neck to keep the bubbles in – that is ‘goli soda’ for you. The bottle opens with a loud ‘ping’, the soda is poured out into a glass and offered to you. Each bottle is priced at about INR 12. A chilled bottle of goli soda is good to beat the heat, but I didn’t really like the salty taste of it. I was never a fan of soda water anyway. Where – Road-side stores all over the city stock these bottles. You can find them in shops around the Meenakshi Amman temple too. Vadais made out of the leaves of the prickly amaranth (mullu murungai keerai) are a common sight in street-side carts across Madurai. These greenish vadais are served straight off the stove, on squares of newspaper, liberally doused with paruppu podi (lentil powder). The mullu murungai keerai that is used in these vadais are believed to possess several medicinal properties, but I am not sure how many of these properties are retained after they become vadais and are fried in hot oil. Well, health benefits or not, these vadais do seem to be popular street food in Madurai! The vadais don’t have much flavour in them, except for a slightly salty taste, and we didn’t really like them. We tried them out just because they were new to us, and we might not be having them again. These vadais are commonly priced at INR 10 for four pieces. I tasted the Madurai-special butter bun at Hotel Amirta near the Meenakshi Amman temple, but it is easily available on road-side carts, too. What a simple and homely, but lovely treat this butter bun is! It is an inexpensive treat too – most places in Madurai charge INR 15 for one butter bun. A sweet bun cut into two, with butter smeared in the middle and sugar sprinkled over it, toasted hot and slightly crisp then with more butter – I can totally imagine a mother making this in a jiffy for her kid who insists on having a little sweet treat. I am so going to try making this at home! Where – Hotel Amirta, near the Meenakshi Amman temple, is a good place to try this sweet treat out. You could have the same off street-side carts, too, again around the Meenakshi temple. You get some really delish sundal off street-side carts in Madurai, particularly around the Meenakshi Amman temple. The sundal comes in many varieties, but we liked the chickpea one best – well-cooked chickpeas with just the right amount of spice, often with grated carrots and coriander added to them. We loved munching on little packets of sundal as we walked around the city! At most places, you will get a paper cone of sundal for INR 10, a small price to pay for such a lovely treat. I had never tasted thenna kuruthu – the tender stems of the coconut tree – before this trip to Madurai happened. They are quite a popular delicacy in the city, apparently. Thenna kuruthu is usually sold on street-side carts, beautifully decorated with shoots of the coconut tree. INR 10 will get you a newspaper parcel with a few slices of the tender stem. How does it taste like? Raw, earthy and nutty, all at once. It might not be everyone’s cup of tea, though – it certainly wasn’t mine. The husband quite liked it, though. I hear these stems possess a lot of healing properties, and regular consumption can help in reducing body heat and curing internal wounds. So, that’s all about the street food and drinks that we tried on our holiday in Madurai. Let me tell you, there’s plenty we haven’t tried! For non-vegetarians, too, there is a huge variety of food stuff that the city has to offer. Which of these street delicacies interests you the most? Have you tried out any of these? How did you like it?